As the 2017/18 season comes to a close, so the planning and preparation commences with immediate effect ahead of next season. This season has been very exciting on many fronts and next season we hope to develop some new and exciting opportunities for fans to enjoy on a social level, whilst continuing to providing invaluable funds to the club for ongoing operational costs and the continued development of the team we all love. As has been written by others when the new ownership group took over, numerous sessions were held to discuss their vision for the 2017/18 season. The passion and support the ownership team showed clearly demonstrated that they meant business & wanted to grow this club in all directions including a very exciting on ice product. The MSOSC has worked tirelessly throughout the 2017/18 season with many hours of planning and preparation often going unnoticed by many, to provide a variety of experiences hopefully enjoyed by many of you across the season. It is a credit to the small group of core volunteers that we have managed to achieve so much in only our second season. There are so many people who I would like to thank on behalf of the MSOSC and to those I forget I apologise in advance. Firstly a big thanks to Jamie Tunstall, Ryan Finnerty, Mark Thomas and Emma Finnerty for their trust in me and the other MSOSC members for allowing us the autonomy to operate as we have this season. Special thanks to my wife Lisa Barlow and our 3 son’s Thomas, Sam and Harry who have supported me and allowed me the space and time to commit to the privileged position of chairing the MSOSC. Without their help and support, I for one would not be able to commit the time needed to drive this voluntary group forward whilst juggling a full-time job at Noveau Consulting Services and my other commitments at Broadheath Central Football Club. As the well-known expression says “Behind every great man there’s a great woman” and this is so true. Secondly, I would like to say a special and huge thank you to Paul Tracey, Hayley Boardman and Jess Patten, and again their family members. Paul, Hayley and Jess collectively form the core team of volunteers who support the MSOSC vision and put into action the many plans and initiatives that we have shaped over the past season. And it would be remiss of me not to mention Andy & Bernadette Shaw for their hard work up to Christmas when they sadly stepped away from the MSOSC yet remain great friends. I would like to thank each and every volunteer who has actively been part of the Match Night Sales Agents selling 50:50, SOTB, Stick Raffle and CAP tickets and coordinated by Hayley Boardman. These individuals have tirelessly walked around the Planet Ice Rink week after week driving match night sales which form a key ingredient to the club’s operational model. They have been a pleasure to work with and have embraced a lot of change over the past year without any fuss. Special Thanks to Aden Millen for his help with the weekly analysis of match night sales and suggestions to me and Hayley on how to further maximise our match night sales. The list is endless of people who I would like to thank for helping support the MSOSC this season in some capacity including (but not limited to) Neil & Russ Herring, Craig Collier and his team of Salford University students, Storm Sports Shop team, all the Stewards led by Richard Evans (and supported by Darren Evans), the Storm TV crew, Jon Hammond, Mark & Aaliyah Ferriss, Lee Middleton, Planet Ice Staff, Dave Swanton, Simon Bailey, Stuart Pendlebury and of course the fantastic players who have been so receptive to the many requests to attend events, make themselves available for filming of videos, endless signing sessions and posing for photographs with fans. To all our sponsors of events (or awards) this year including the Alan Stevenson Partnership, Compass Distribution, Bauer Hockey UK, Salford University, KTR, Manchester Bierkeller to whom we are eternally grateful of your support and hope to work with you again next season. Finally, special thanks to Wesley and Sally Goodwin for their continued support of the MSOSC via StormForce and their provision of arguably the league’s most luxurious coach travel to away games for fans and of course Greg Bold for his insight and wisdom when planning journeys. And my BIGGEST thank you goes out to each and every one of you (our fans) who have supported our initiatives through Own and Loan, Kit Club, attendance at numerous events, Memberships, Match Night packages and so on. 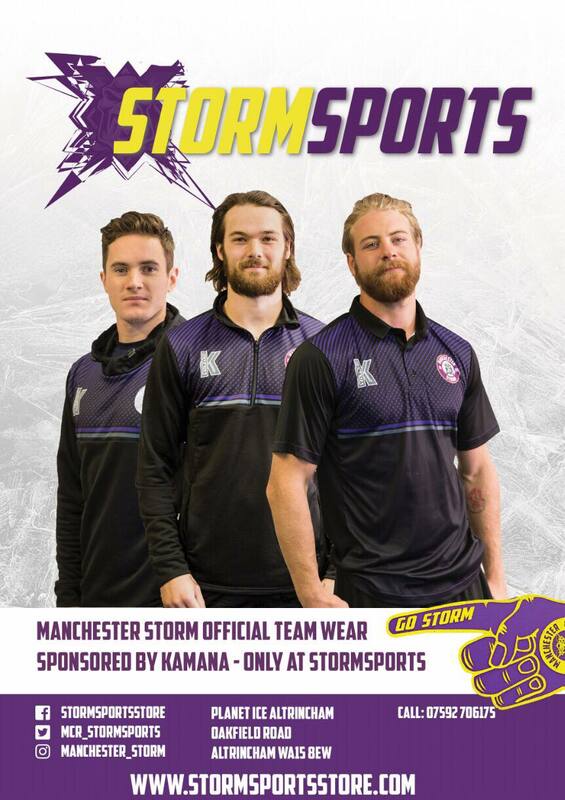 Without your support, none of this would be possible and I know for sure the Manchester Storm IHC is equally as appreciative of your continued support of the MSOSC work. The MSOSC is built on two key principles. Firstly “Fan Engagement is the key to the growth of our club” and secondly “To treat people the way you would like to be treated” and I firmly believe with these two key principles in mind we can continue to support this great club in their journey over the coming seasons. If you have an idea or suggestion to share please email it to [email protected] and we will happily explore them. Not all suggestions will be able to be converted from concept to an actual offering but where we can we will, for example the hugely successful player profile pucks suggested by Anthony Muscat, the Manchester Victoria stops for StormForce1 requested by several of our regular travelling fans plus the introduction of the Birthday Match Night package. 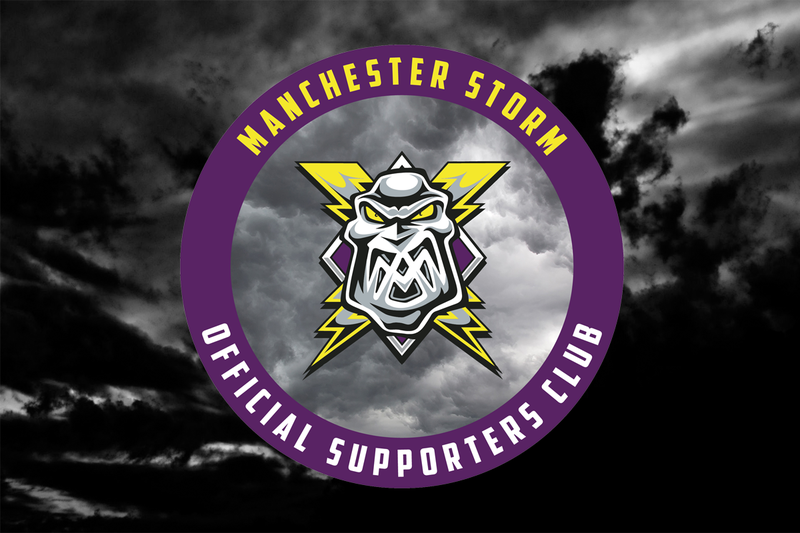 Please keep checking the MSOSC section on the Storm Website and make sure you follow us at @Mcr_StormOSC on Twitter and manchesterstormosc on Instagram, and like our Facebook page at https://www.facebook.com/McrStormOSC/ .